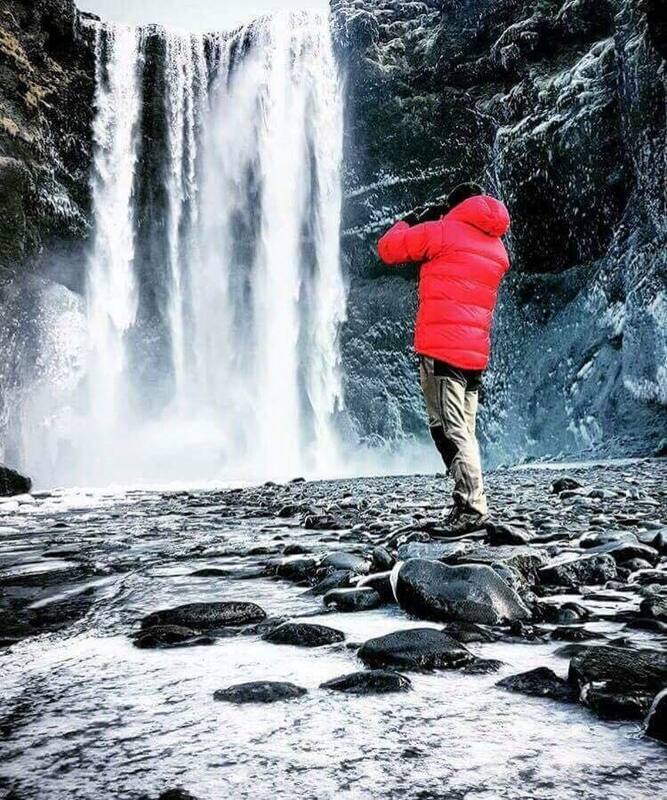 Join this fantastic sightseeing tour discovering some of the most beloved natural attractions found along Iceland's picturesque South Coast. This is a great opportunity for visitors to Iceland who have yet to explore this stunning region, as well as those travellers hoping to maximise their holiday time in Iceland. The South Coast is widely considered to be one of the most picturesque routes in the whole of Iceland, a region characterised by its rugged shorelines, distant mountainscapes and cascading waterfalls. From your vantage point on the tour bus, you are privy to this incredible scenery, gaining a real insight into just why Iceland is so desirable as a travel destination. You will be making a stop at two of the popular waterfalls found along the South Coast, Seljalandsfoss and Skógafoss. These attractions are available the year round, making them a staple visit on sightseeing tours in Iceland. Both cascading at a whopping sixty metres, Seljalandsfoss differentiates itself by being one of the only waterfalls in Iceland where it possible to walk directly behind the water. This provides for some really fun, unique snapshots. Skógafoss is wider and more powerful than Seljalandsfoss, and guests here can walk right up to the point the water smacks into the rock pools below. Further along the South Coast, you will make a stop at the hauntingly beautiful black sand beach, Reynisfjara. Here, you can observe the incredible basalt stacks built into the adjacent cliff faces, and stand in awe as the rolling waves of the Atlantic Ocean compliment this gorgeous panorama. You will also have the opportunity to explore the nearby coastal village of Vik before heading towards Dyrhólaey. 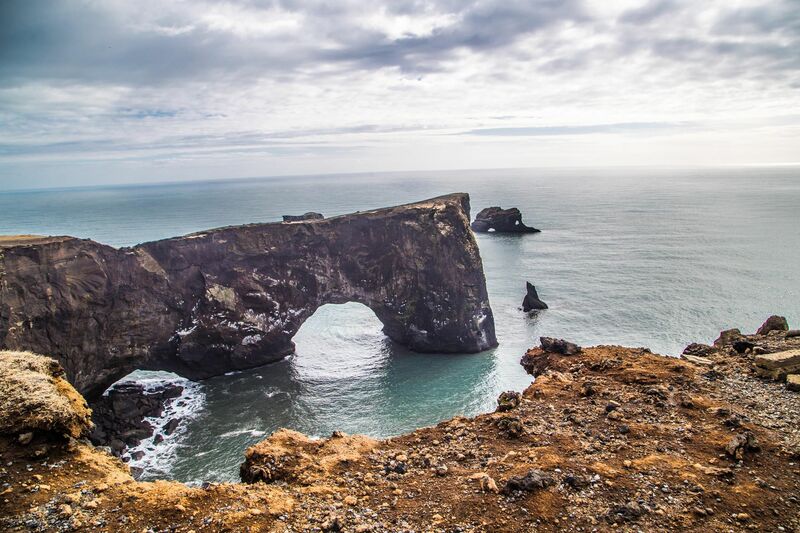 Dyrhólaey is a small peninsula that once stood separate from mainland Iceland. Now joined by a land bridge to the rest of the country, this promenade has become famous for its nesting birdlife, dramatic rock arch and stunning views. From here, you will likely be able to see the outlet glacier, Sólheimajökull, glistening in the distance. We also visit and closely observe a Secret Ice Cave when the condition allowed- and that´s included in the price. Don't delay any further! Join this fantastic sightseeing tour today and you too can experience the many beautiful attractions found along Iceland's South Coast. Check availability by choosing a date.